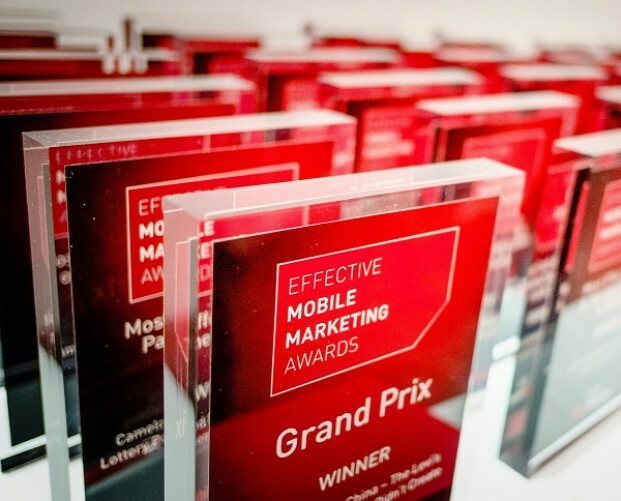 Ahead of our 2018 Effective Mobile Marketing Awards, we'll be previewing the nominees in each category, giving you a glimpse at the high quality of entries we've seen this year. 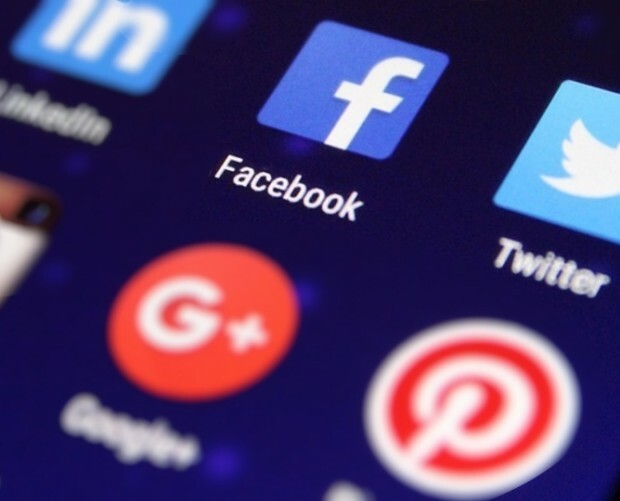 Social media gives brands and consumers alike a unique way to connect. These entries all made the most of this powerful channel to reach and engage their audiences. American Airlines is a strong global brand, but in the UK, it struggles against the likes of British Airways and Virgin, with less than 5 per cent share of the UK long-haul market. It was looking to secure more Business Class customers from the UK. By cross-referencing American Airlines traveller data with the members of the British-American Business Council (which has over 2,000-member companies), Mediacom had established that Business Class travellers who travel regularly to the USA are heavily concentrated in 2 London locations: Canary Wharf and The City, so the entire media solution was focused in these areas. The campaign targeted travellers in London’s iconic Black Cabs. 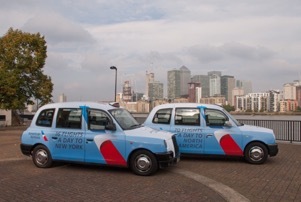 American Airlines ‘wrapped’ 85 taxis (along with tip-on seats and receipts) that were predominantly based around Canary Wharf and The City. In a media first, these moving vehicles were also geofenced. 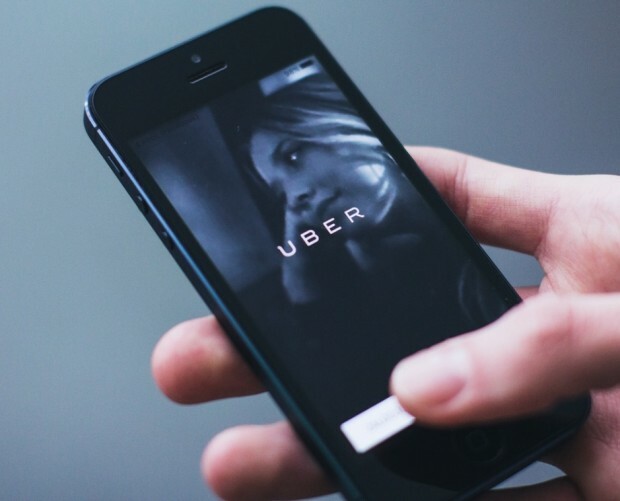 Exposed devices were identified by connecting to the taxi API platform, enabling the taxi GPS to be geofenced and capturing device IDs within this moving geofence. These devices were then retargeted with a unique kind of location-informed sequential messaging via the user’s mobile devices, ensuring that the messaging on the taxi media was reinforced to the target audience, via their smartphone. People exposed to both taxis and mobile advertising saw a significant shift in purchase intent of 8.8 percentage points; an 8.6 percentage point shift in brand familiarity; and a positive shift in unaided brand awareness of 1.6 percentage points. The wider campaign saw an overall increase of 9.8 percentage points in purchase intent, driven predominantly by taxi and mobile activity. As the UK’s largest electrical retailer, Curry’s PC World (CPCW) has digital innovative technology running through its core, and was keen to leverage what mobile location could do for its omnichannel marketing efforts, driving people into stores and delivering measureable return on ad spend. While 32 per cent of customers consider mobile the most important device for research, 70 per cent are still purchasing in-store, demonstrating that the linear customer journey has changed. This led CPCW to a campaign focused on producing verified results proving the effectiveness of online-to-offline marketing. Media agency Blue449 worked with GroundTruth to build key audiences based on both current location and location history, as well as shopping behaviours and other data insights. Once audiences had been identified, compelling creative was produced that focused on driving incremental footfall, and the team worked to develop a tool that could more clearly measure the impact of digital activity on store visits. 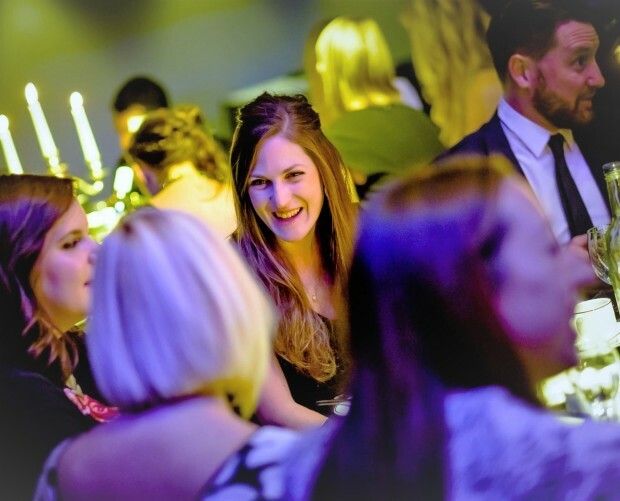 The data led approach, coupled with the newly-built measurement tool, enabled CPCW to successfully boost footfall in stores and deliver a seamless online-to-offline experience. The mobile-location strategy alone drove 12.4 per cent incremental footfall to stores, and the new measurement tool was used across all digital activity, providing a much clearly picture of how the campaign was affecting in-store spending. With the release of the Sport Series 570S spider, McLaren Automotive was looking to challenge sports car audience perceptions of the brand and bring new prospect consumers in for test drives. To do this, the team behind the campaign identified high earners aged 30-65 with an interest in luxury goods and prestige cars as its key audience, and built a strategy to target them. The team used geofencing around affluent locations like exclusive clubs and hotels, Michelin star restaurants and luxury retailers to identify its key audience, then identified competitor dealerships close to McLaren Automotive retailers. When profiled consumers were close to rival dealerships, the campaign targeted them in real-time with video ads, offering them a chance to learn more about McLaren’s latest models online or at a local retailer. The campaign delivered over 4.2m impressions and drove over 23,000 consumers to the McLaren landing page to learn more about their latest models. In addition, McLaren was able to identify new conquest customers, with footfall data generated by the campaign providing key insights for future marketing. With this campaign, Sony Pictures set out to generate mass awareness prior to the launch of its summer blockbuster, The Dark Tower. The campaign’s goal was to leverage unique location data available only from mobile devices to facilitate a hassle-free experience of going to cinemas. 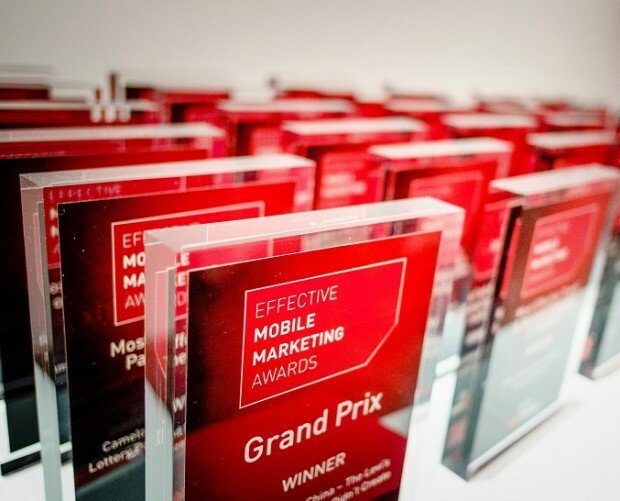 The campaign was split into two phases and targeted only to mobile devices. Early research had showed that audiences likely to go to see the movie were high mobile users. 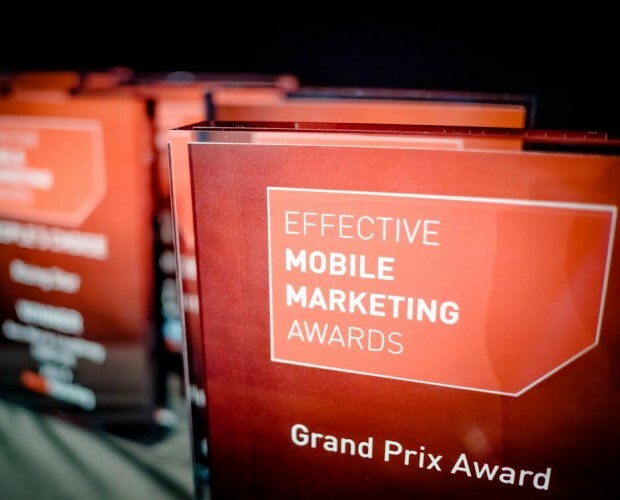 Mobile was also uniquely placed to deliver real-time location data for both the targeting, and dynamic creative. Phase one ran before the movie hit theatres across the country to build a nation-wide hype with the movie trailer, which gave audiences the chance to engage with The Dark Tower. Users were presented with a pick & choose scenario between two main characters to be immersed in the movie’s universe. The second phase focused on driving Box Office ticket sales amongst users that had engaged with phase one of the of campaign. S4M created a Video & Card unit with a custom API integration with one of Singapore’s top local cinema information providers, to deliver live cinema times at the end of the video. This allowed Sony Pictures to deliver a tailored message in the video unit, displaying live screening times to each user after they had watched the movie trailer video. The unit also leveraged the user’s real-time location data to display the live cinema time of the closest theatre to the users’ immediate location. To close the loop and complete the purchase – the Video & Card also included a ‘Book Now’ CTA button, taking users directly to a booking page, where they could buy tickets. Throughout both phases of the campaign, real-time location targeting was deployed, with a radius of 500 metres around cinemas and malls across Singapore. The ad units were dynamically creatively optimised to personalise each ad for each mobile user based on their immediate location data. 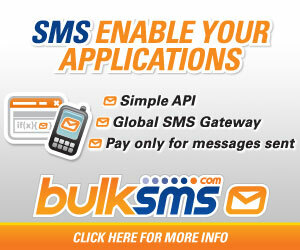 The campaign exceeded expectations, reaching around 2m Singaporeans. More than 24,000 users clicked to book movie tickets after exposure to the campaign, delivering a conversion rate of 1.2 per cent. 71,000 users watched the movie trailer in its entirety. For the Video & Card creative format, more than 67 per cent of total users stayed more than 12 seconds in the format. The clickthrough rate of 0.27 per cent was three times higher than the industry benchmark for vertical videos of 0.1 per cent, and 60 per cent of users exposed to the format used during the first phase spent at least 10 seconds in the ad experience. This campaign aimed to reach Timberland’s key audience of the ‘urban dweller with a casual interest in the outdoor’. It used the power of location to inspire people from all over Europe to get up experience their own urban ‘Flex in the City’ adventure, and to promote Timberland’s new sensorflex boat shoe range by driving footfall into stores and challenging perceptions of Timberland as a ‘boots-only’ brand. Based on previous campaign success, Timberland knew that location behaviour is a strong signal of consumer intent. So, rather than building an audience based on static points and demographics, it built an audience seeking to experience real adventures. 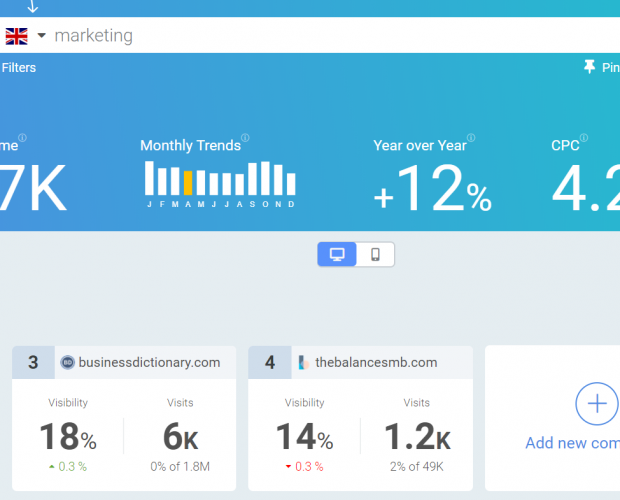 Using GroundTruth’s discovery insights and real-world data, it looked at past visitation behaviours to understand where audiences shop and to seek those that like outdoor adventure. It also used location technology to uncover and reach audiences that were in close proximity to particular stores, allowing Timberland to target in real-time. Groundtruth’s proprietary Blueprints technology draws automated polygons around points of interest and allows for precise delineation to understand whether a device has crossed between areas, or whether someone has entered a store. This provided Timberland with the most accurate context for the location data collected. Once it had built audiences most likely to be in the market for Timberland products and established those that were in close proximity to stores, the brand wanted to focus on delivering a unique digital experience to drive those relevant audiences into key stores and stockists. The first stage of the creative development was to make sure the advertising was relevant to the particular audiences it had built. When looking to influence those in the market for Timberland products, the message spoke to this audience, with a separate message being directed at those who were in close proximity of stores, where emphasis on directions was more appropriate. The campaign used proximity targeting, reaching relevant audiences close to Timberland stores. It also included a conquesting element, identifying those in the market for footwear, and driving them out of competitor stores and into Timberland locations. Finally, a portion of the budget was reserved to up-weight delivery that specifically supported priority stores and special events. 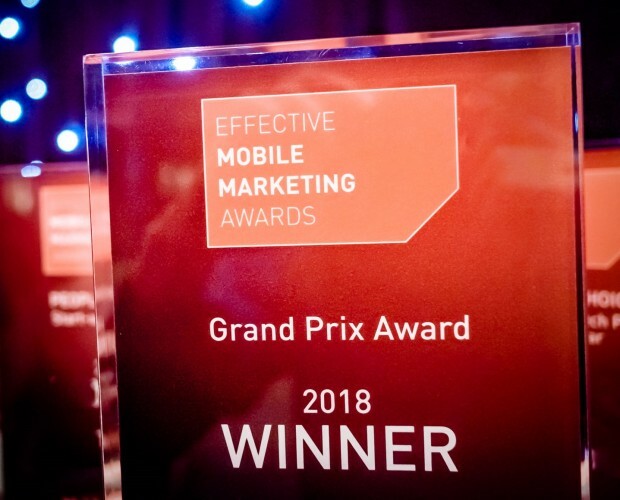 From a creative perspective, the campaign employed high impact, rich mobile creatives, including banners and full screen rich media content designed to catch people’s attention with calls to action to enter a competition and find their nearest store. The results of the campaign are confidential, but were sufficiently impressive to warrant a place on the shortlist. 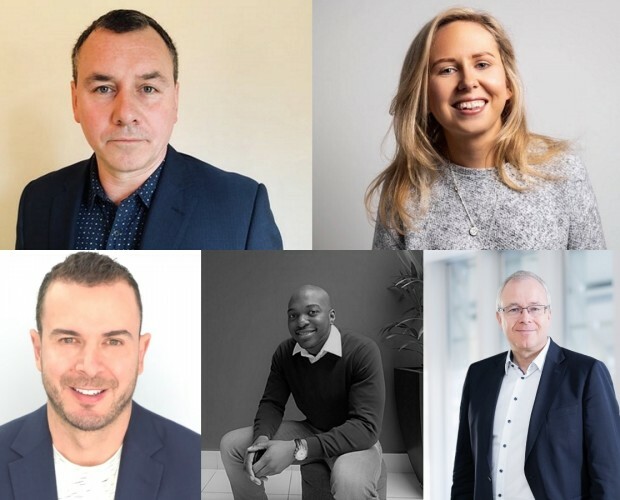 The challenge with this campaign was for Volvo to accurately measure footfall into dealerships, in order to able to make its digital communications accountable down to individual dealer level. 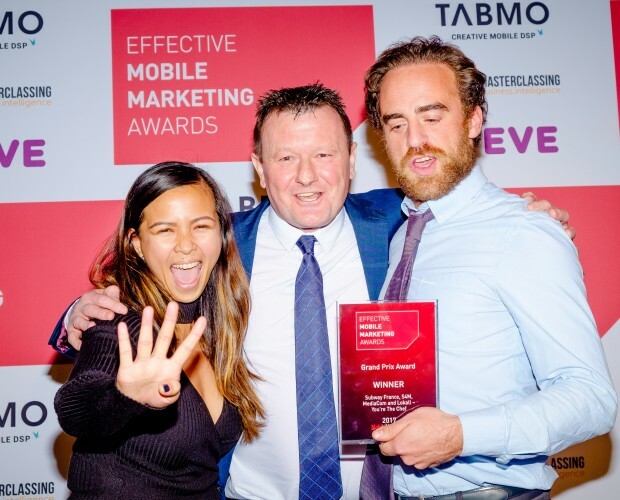 Working with Mobsta, Volvo and Mindshare were able to monitor people exposed to the mobile campaign offline and, in turn, understand the effect this has on visits into dealers. And since Mobsta monitors 65m devices monthly in the UK, Volvo was able to see increases in visitation over and above natural visitation. Mobsta targeted in-market users for Volvo’s V40 on their mobile devices with creative that ledthem through to their local dealership. In-market users were defined by demographic, life-stage, intent signals and 3rd party data providers. The campaign only targeted users within a 30-minute drive of a Volvo dealership to avoid wastage. This parameter was specifically designed to increase sales of a model that was falling behind annual targets. Control groups were used to ensure that all of the metrics measured could be compared against a flat-level benchmark as Volvo previously hadn’t run this kind of activity before. Mobsta ran the campaign against unique mobile handset identifiers (Device IDs) in order to ensure it could understand who was exposed to the campaign. Control groups were defined post-campaign of non-exposed users, notably within relevant audience segments (e.g. users that had visited a competitor dealership), and then compared against users who Mobsta had targeted within the campaign period. This meant that Volvo was not comparing a targeted( and therefore more likely to convert) group, against that of a randomised control group which would heavily skew the results. 2 per cent of users reached visited a Volvo Retailer, equating to almost 10,000 incremental visits. The campaign also delivered a number of other excellent results, which were shared with the judges in confidence.